Halo engagement and wedding rings are popular for complicated reasons; their designs are huge innovation, they’re affordable and have a more glamorous look than the same standard solitaire ring. 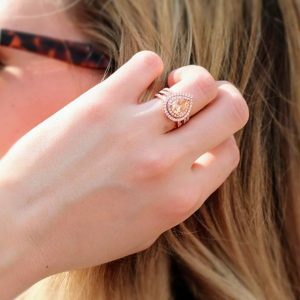 A traditional halo ring means that the center stone is surrounded by a circle of smaller gemstones, this style fits someone who likes big statement pieces with a lot of sparkles. If you’ve decided on halo wedding ring sets, then here are the major things that you should pay attention to. Different cut of the stone can completely change the final look of the ring. 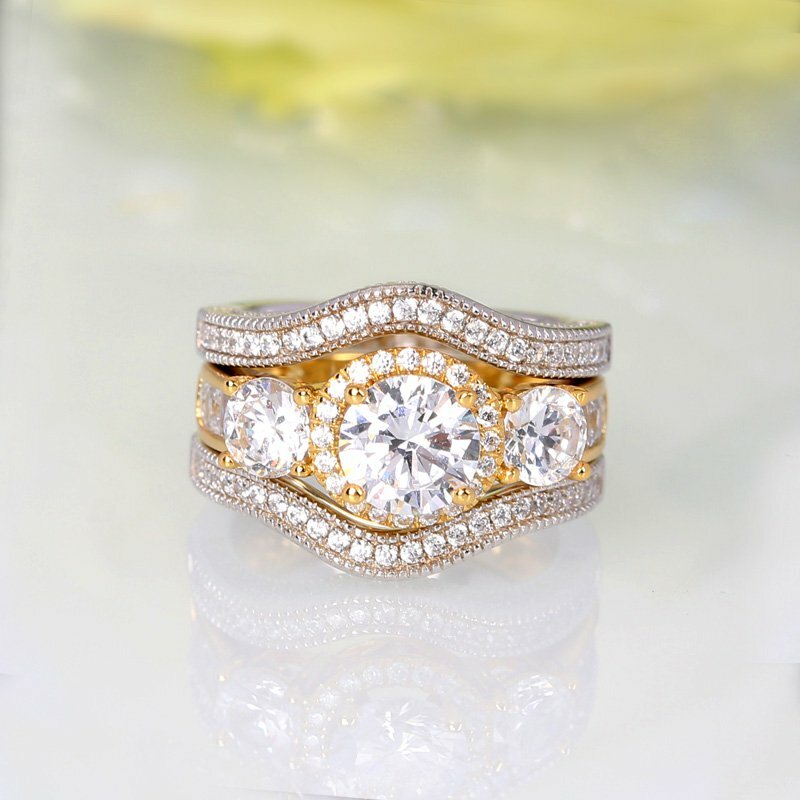 Classical design, like round or princess cut, is both a better choice for halo rings. But if you want it to be looked bigger, a charming emerald cut, wrapped in a halo, will make a bold statement. We often reject pear or marquise cut, in fear of destroying the stone’s fineness, but with halo style, you can explore these interesting styles since they are safely ‘wrapped’ and protected. From the single halo ring, many jewelry designers launched double and even triple halos. 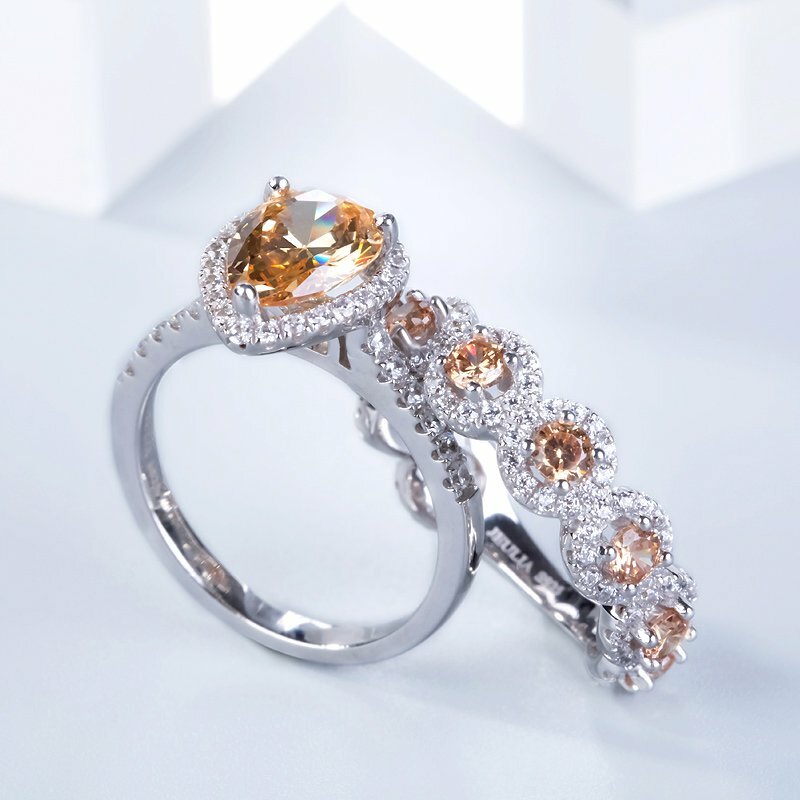 Each addition makes your ring look more stunning, even if the center gemstone is smaller one. Another way to enhance the halo look is with wedding ring sets. These Jeulia wedding ring sets adopt the embedded halo style, but with the border of a removable engagement ring. So you can choose to wear your halo wedding sets on its own, or along with your engagement ring! 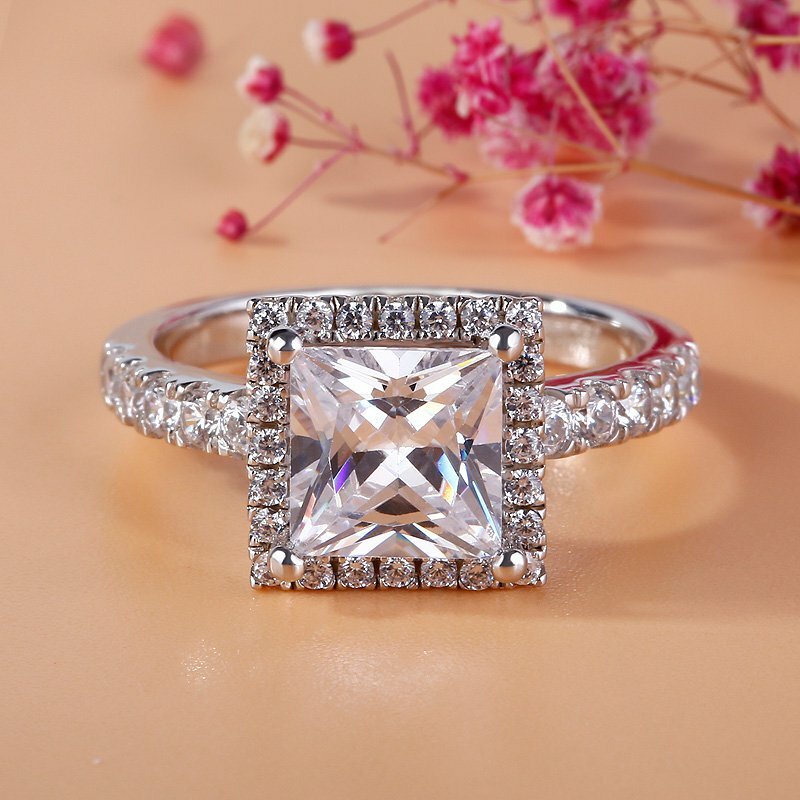 In general, wedding sets contain 2 pc and 3 pc, in comparision, 3 pc halo wedding ring sets fit thick finger, instead, 2 pc halo wedding ring sets is favored by slender finger.